I commonly use Twiiter to push traffic to my blogs, as well as to my domains. To date, the strategy has never worked. I checked my traffic report today ,determining that my Twitter post finally referred a visitor. 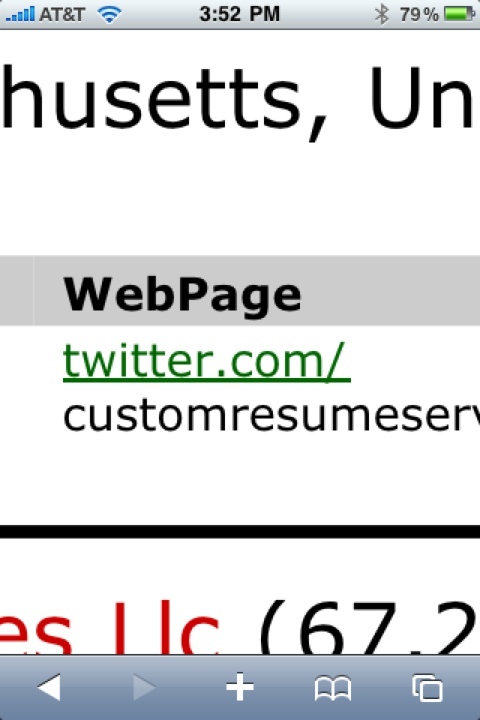 Twitter generated a visitor to CustomResumeService.com. 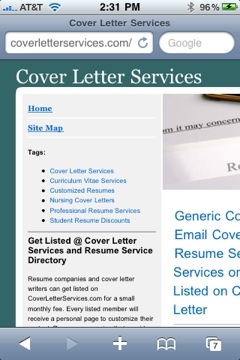 There have been a few instances where people are typing in CustomResumeService.com in Google. Additionally, I’m generating no referring link traffic, which is due to the visitor typing in customresumeservice.com in their address search bar. I almost sold customresumeservice.com for $—. The domain has 6 incoming links, a Google Page Rank #1, and is an actual service resume companies provide their customers. CustomizedResume.com is another exact service match, as well. Any company planning to enter the resume industry must find a quality resume domain to generate traffic. Any name may work, but you will have to spend a fortune bidding on keywords, or on SEO services to get indexed. SEO people will identify their services as most rewarding to get indexed. A domain investor will suggest the domain name is most important. A writes will note that quality articles will capture traffic. For the most part, a memorable, keyword name has more value because you don’t have to spend too much on advertising cost. My empirestatehotel.com generates consistent traffic based on the keywords alone. The domain is a GPR #2, has 68 backlinks, 3 sites that link in and can function as a GEO domain. I have the data to show how many times a visitor will type ‘Empire State Hotel’ in the various search engines. The domain captures traffic because I put up content on New York City. Imagine how valuable the domain will be worth to a hotel operating in New York City. I get repeat traffic searching for NYC information. International visitors are also visiting the site. In regards to Twitter, tweet a new domain that is up and running, a planned sale or auction, and any other information you want to announce to the public. The picture below shows that a visitor will utilize the link when they find something that interests them. 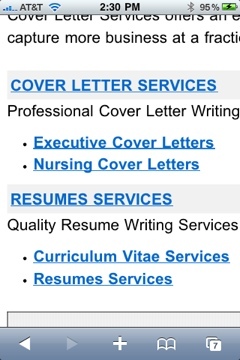 If you need resume and cover letter service, please visit ResumeCampus.com. Use the banner on the bottom of the page to get 10% on resume service and to have a world class resume company write your resume and cover letter. Resume Campus has done well with traffic as of late. I invested time into writing articles, and providing information and resources to help job seekers and college students to find the right help. Let Resume Campus serve as your stepping stone to building your future.